The Supreme Court in SOUTH DAKOTA v. WAYFAIR, INC, just handed down the most devastating and unconstitutional rule perhaps in American history in a 5-4 ruling that we will look back upon as the straw that broke the back of the economy. The Supreme Court has totally rejected EVERYTHING that the United States was built upon – No Taxation Without Representation. Instead of the greed of states being confined to their own citizens, the Supreme Court has ruled that if you are not a citizen of that state, the state still has jurisdiction to compel you to collect taxes as an economic slave WITHOUT ANY RIGHT TO BE REPRESENTED IN THAT STATE to oppose such legislation. This is exactly what the American Revolution was all about. The English Parliament would pass legislation that compelled Colonists to pay taxes yet they were NOT represented in the English Parliament to object. This is the most fundamentally UNCONSTITUTIONAL and ant-Democratic decision EVER handed down by the Supreme Court all because of the Hunt for Money by the States. There will be states that now simply go nuts and I will have to decline doing business in certain states for the risks will be far too great and the cost of compliance will only make it disproportionate per state to conduct business. If you fail to collect sales taxes, they will hit you with penalties and interest rates in the 20%+ level that will far exceed the gross sales in those states. This will simply make it IMPOSSIBLE to conduct business nationwide. The only way around this insane ruling will be for people to “DONATE” to an organization and receive access to research for “FREE” just as the two little girls selling lemonade had to when the police said they could not sell lemonade in front of their house. The Texas sisters Andria, 8, and Zoey Green, 7, wanted to raise about $100 to take their dad to the Splash Kingdom as a Father’s Day present, so they set up a traditional neighborhood lemonade stand. 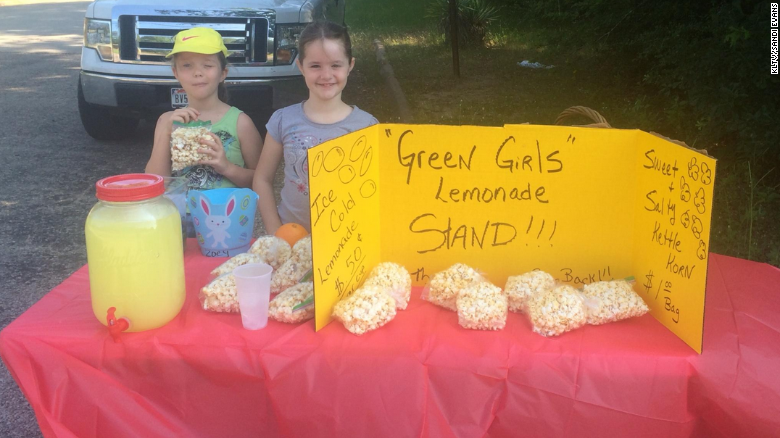 After they made about $25 profit, the nasty insane Overton police showed up and shut the lemonade stand down because the Green sisters did not have a “Peddler’s Permit,” which comes with a $150 fee. The police have simply become the destroyers of society and no longer protect the society – they have been transformed into IRS agents with guns and wheels, and far too many are ignorant of what role they now play in society. Nevertheless, in the true spirit of American resistance to No Taxation Without Representation, the girls reopened, giving out free lemonade with tips being optional. That screwed the police. There is the future of society fighting back against those who are destroying all our freedoms. South Dakota v Wayfair demonstrates the hunt for taxes that I have been warning will tear the United States apart and will destroy the economy going forward contributing to the shift in the Financial Capital of the World to China. So if you wanted a REASON for that shift, you now just received it from the Supreme Court. Should also know that Congress NEVER applied the income tax to worldwide income. It was the Supreme Court which also ruled that they never made an explicit exception, so the IRS can collect it worldwide. ONLY America and Japan impose taxation on income earned globally. Today, the Supreme Court has once again delivered a devastating blow to the US economy long-term. 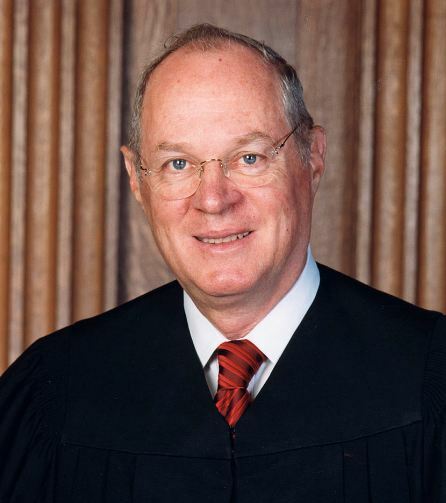 Quill Corp. v. North Dakota, 504 U. S. 298, and National Bellas Hess, Inc. v. Department of Revenue of Ill., 386 U. S. 753, are overruled.” The decision was written by Justice Kennedy was joined by Justices Ginsburg and Alito. A concurring opinion was delivered by Justice Thomas joined by Justice Gorsuch. The dissenting opinion was written by Chief Justice Roberts, which was joined by Justices Breyer, Sotomayor, and Kagan. Clearly, this was not a decision that was simply down political party lines. President Reagan nominated Kennedy to the Supreme Court and he has ruled in favor of government most of the time when it comes to taxes. 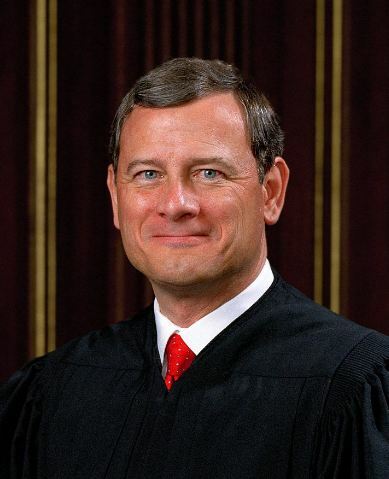 President George W. Bush (Junior) appointed Chief Justice Roberts in 2005 after the death of Chief Justice William Rehnquist. If Congress FAILS to overrule this with clear legislation, this will indeed be the last nail in the coffin of ECommerce going forward. The cost of compliance for small business will be disproportionate to the business conducted. EVERY small business will now have to go to lawyers and accounts and they will have to review the laws of each and every state. Such costs are fine for Amazon, but every state will now write its own legislation which is NEVER tested before being enforced placing the burden ALWAYS upon the citizen. If they cannot afford to defend themselve4s, they are forced out of business. The greed of the states knows no rational sense or conscience. There is no negotiation with a government. They are simply ruthless and could care less who they destroy and how many people will be thrown out and lose their jobs. If states now tax downloads, which Florida does not, then just to let everyone know, we may simply be forced based upon this decision to leave the United States in order to even do business. You cannot treat everyone the same. Looks like getting a PO Box in Delaware may come in handy. Businesses now have to hire a company to keep track of every state and there go more overhead costs so the consumer will have to pay more plus the taxes. When Congress passed FATCA the cost of compliance to say you are not dealing with Americans by foreign companies has exceeded $1 billion annually. This can be the worse decision of all time! It will seriously reduce ECommerce and slow economic growth entirely because 50 st6ates are greedy, broke, and all act in their own way.